You will find satisfied customers and friends of Yankee Doodle all throughout Fairfield County and in Westchester County in NY. We have been supplying local residents with the best pellet stoves and pellet stove products year after year. If you live in Wilton, Ridgefield, New Canaan, Norwalk, Darien, Monroe, Fairfield, or Pound Ridge NY, stop by our showroom today. With a pellet stove you can bring down your heating bills and reduce your environmental impact. 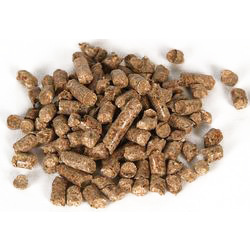 Pellets are a sustainable fuel made from recycled wood chips and other wood byproducts. They are considered a carbon-neutral fuel because they release the same amount of carbon when burned as they would decomposing on their own in a landfill. The clean burning design of pellet stoves makes them an even more environmentally friendly choice. Since a freestanding stove radiates heat in all directions, it can efficiently zone heat your home even better than a fireplace insert. Some models can heat up to 2,000 square feet. You can feel good about choosing to use a pellet stove to stay warm throughout the cold months of winter. In our showroom, we have live models on display so that you can see how easy pellet stoves are to operate. We pride ourselves in carrying the best pellet stoves on the market with high efficiency, low emissions and convenient features from Avalon, Lopi, and Enerzone. You can control the heat output by a thermostat or remote control without needing to refuel for up to 29 hours. Along with these convenient features, pellet stoves come in different styles to suit your tastes. We carry sleek modern stoves and elegantly crafted stoves with incredible detailing. Stop by our Fairfield County location in Wilton, CT right off scenic route 7 to browse our selection for yourself and speak with our friendly pellet stove professionals. The easy operation of pellet stoves is one of their most attractive features. Unlike wood stoves, you do not have the hassle of collecting firewood, cutting it and waiting for it to season. Pellets come in 40 pound bags that are easy to stack and ready to use immediately. Because of the small, uniform shape of pellets, these stoves operate similar to coal stoves. The pellets are stored in a bin within the appliance called the hopper. From the hopper, they are automatically fed into the burn pot by an auger motor. The heat of the fire is controlled by the amount of pellets that are dispensed. The more pellets that are released, the hotter the fire will burn and vice versa. With modern pellet stoves, it is easier than ever to determine the heat output. You will be able to control the amount of pellets released either by adjusting it with the remote control or setting the appliance’s thermostat. Are There Different Kinds of Pellets? While all pellets are made from recycled bark, wood chips and shavings, the amount of bark and types of wood they are made from does affect how they burn. To help homeowners understand the difference between pellets, they are divided into two different grades: premium grade and standard grade. Standard grade pellets have a higher percentage of bark in them. These pellets will produce more ash and generate less heat. Premium grade pellets have a lower percentage of bark. They will produce less ash and generate more heat. It is important to check what type of pellets your stove will operate best with. 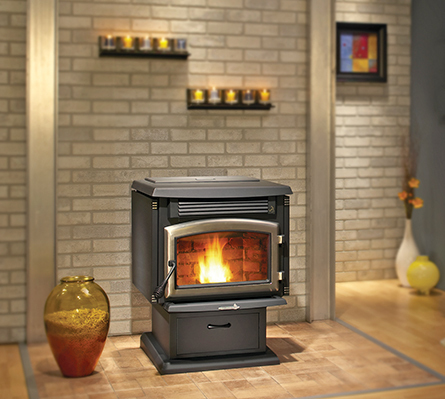 Some stoves will not burn as efficiently with standard grade pellets. If you have more questions about pellets or are wondering where you can buy them in your area, don’t hesitate to ask one of our friendly staff members. We would love to share our knowledge with you and help you find the best option for you.